East Bay Appliance Service Co.
Why These Home Appliance Repairmen? Our goal is to connect people with the best local experts. We scored home appliance repairmen on more than 25 variables across five categories, and analysed the results to give you a hand-picked list of the best home appliance repairmen in Fremont, CA. Ace Appliance Service serves most of Santa Clara County, including San Jose, Los Gatos, Campbell, Sunnyvale, Cupertino, Los Altos, Mountain View, and Palo Alto. For more than 50 years, Ace Appliance Service has repaired and maintained most types of home appliances, including refrigerators, microwaves, dishwashers, washers, dryers, stoves, and ovens. Whirlpool recognizes Ace Appliance Service as a Factory Authorized Dealer. Technicians are available Monday through Friday and Saturday by appointment. More than 145 people have reviewed the company on Yelp, returning a five-star rating. They speak highly of the company's commitment to honesty, prompt arrivals, and quick work, saying they charged reasonable rates and were flexible with scheduling. Appliance Master is a licensed, insured, and locally owned and operated business in the California Tri-Valley region. The company offers 12-month part warranties and 90-day labor warranties for all work, and they are willing to serve the needs of several towns outside of the region. Their head technician is professionally trained and has over 37 years of experience in repairing many common kitchen and laundry appliances, including refrigerators, washers, dryers, and dishwashers. Their employees know how to repair most models from 19 popular brands such as Amana and Maytag. Customers praise the company’s professionalism, honesty, timeliness, communication, and affordability. The business is currently owned by Jim Wittkop, who purchased the company in 1976 and answers most service calls personally. For professional, quality appliance service in Alameda County and surrounding cities, call on the technicians at Appliance Repair Expert. The locally-owned, technician-operated appliance repair company services all types of household appliances, and offers reliable, same-day service honest pricing, and a comprehensive parts and labor warranty. They repair all leading household appliances, including refrigerators, freezers, ice makers, cooktops, washers and dryers, ovens, ranges, stoves, water heaters, and many others. Their appliance repair technicians have the experience, knowledge, and equipment to service all of the top brands, including Admiral, Bosch, Electrolux, Fisher & Paykel, Frigidaire, GE, KitchenAid, Magic Chef, Maytag, Samsung, Speed Queen, Sub-Zero, Viking, Whirlpool, and many other leading manufacturers. The company is licensed, bonded, and insured, and offers simple pricing with no hidden fees. The East Bay Appliance Service Co. opened in 1949 and takes pride in its customer service and dedication to each of its clients. It specializes in quick and efficient appliance repairs, and the business’s research indicates that 97.3% of all repairs are completed during the first visit to a customer’s residence. Their trained employees can repair appliances like dishwashers, ranges, ovens, and cooktops from popular brands such as Kenmore, Whirlpool, General Electric, Magic Chef, and Frigidaire. The East Bay Appliance Service Co. features a wide service area which includes the towns of Castro Valley, San Leandro, San Lorenzo, the majority of Oakland, and Alameda. Interested individuals can contact the company at any time and can receive a speedy response to their problems and inquiries. Guzman Appliance Repair Service is a home appliance repair company backed by over 10 years of experience. The family owned and operated group is known for friendly, honest, and top-quality service and can repair all makes and models of appliances from brands including Dacor, Frigidaire, Viking, Wolf, Sears, Kenmore, and Sub-Zero. Technicians' trucks are stocked with a wide range of genuine factory parts for fast, effective repairs, and crews make sure all work is authorized before any repair begins. Guzman Appliance Repair Service is insured and licensed, offers 24/7 service every day of the year including holidays, and guarantees its work as well. Services are available across most of most of Alameda and Contra Costa Counties, and senior citizens receive discounts. Jags Appliance Repair maintains and repairs appliances from all brands, including Broan, Viking, Gaggenau, Bosch, Thermador, and Siemens. Since 2007, Jags Appliance Repairs has served more than two thousand households in the Bay Area. The technicians are committed to fast, friendly, and reliable service, taking the time to answer questions. They are qualified to service all major household appliances, including refrigerators, washers, dryers, ranges, stoves, ovens, dishwashers, and microwaves. The Better Business Bureau gives the company an A+, and clients on Yelp rated the company 4.5 stars. Customers spoke highly of the quick, professional service and the care the technicians took to protect floors and appliances from scratches, scuffs, and other damage. KH Appliance is a professional appliance repair company in Pleasanton, California that has been serving clients in Pleasanton, Castro Valley, and throughout the greater Bay Area since its founding in 2008. The company is family owned and operated, backs its work with a three-month warranty, and serves both residential and commercial clients. KH Appliance services all brands of appliances, including Maytag, GE, KitchenAid, Bosch, Whirlpool, and others. Additionally, the company's expertise spans the gamut of appliances, such as dishwashers, dryers, washers, ovens, stoves, refrigerators, ice makers, freezers, and more. Previous clients praise the company for its rapid response, the quality of its work, and the honesty of its technicians. East Bay residents looking for quality appliance repairs need to look no further than Local Appliance Services. Their professionals offer same-day repair service on all types of household appliances, including refrigerators, freezers, washers and dryers, ovens, stoves, ranges, dishwashers, cooktops, wine coolers, microwaves, water heaters, and many others. The company is locally owned and operated, and when customers call they are connected directly to a repair technician. All technicians are insured, BEAR-certified, and experienced professionals who service all leading appliance brands. These include Admiral, Bosch, Dacor, Fisher & Paykel, GE, Jenn-Air, Kenmore, Kitchen-Aid, LG, Magic Chef, Maytag, Samsung, Sub-Zero, Whirlpool, Viking, and many other top manufacturers. Customer satisfaction is the company’s top priority, and offer a comprehensive 90-day parts and labor warranty on all appliance repairs. When homeowners in Santa Clara County need appliance repairs, they call on the professionals at Tom’s Appliance Service, Inc. The company has over four decades of experience servicing all the leading appliance brands and has the distinction of being the first Diamond Certified appliance services company in Santa Clara County. They are also one of the first businesses in Santa Clara to have technicians who are factory-trained and certified at the Sub-Zero and Wolf manufacturing facilities in Madison, Wisconsin. Jorge Paiva, the current company owner, understands how much customers have invested in their appliances, and ensures that they always receive honest recommendations and impeccable service from the company’s technicians. The company offers repair services on all of the industry’s leading brands. 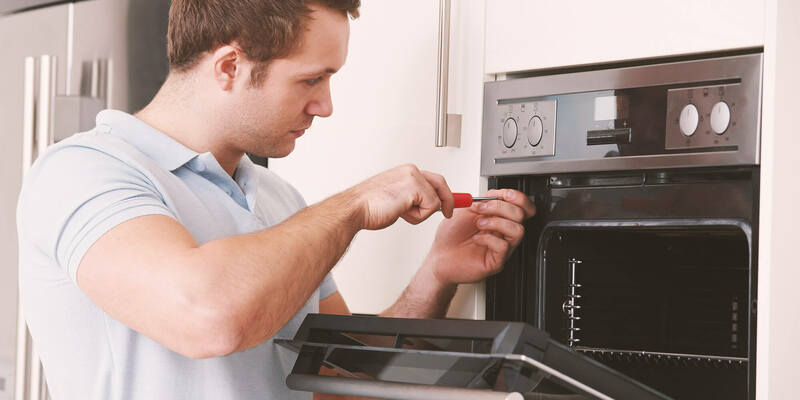 Viking Professional Service is an appliance repair specialist in Redwood City, California that has more than 26 years of experience serving clients in the surrounding metropolitan area. Available around the clock for emergency appliance repair needs, Viking Professional Service provides repair work on washers, dishwashers, refrigerators, and kitchen appliances. The company is open every day of the week and hires certified technicians. Viking Professional Service provides prospective clients with a Best Price Promise on its services. Previous clients of Viking Professional Service praise the company for the speed of its repair work as well as the professionalism and courteousness of its technicians.